The 1973 military coup in Chile is a defining moment in the history of the international working class. It saw a cabal of US imperialism, the Chilean military and the neo-monetarist Chicago School of Economics scheme to bring down the democratically elected socialist Popular Unity government of president Salvador Allende. Naomi Klein in her book the Shock Doctrine notes: "In the years leading up to the coup, US trainers, many from the CIA, had whipped the Chilean military into an anti-Communist frenzy..."
The Pinochet-led coup took place on 11 September 1973. From the start General Pinochet, apart from a few officers and soldiers loyal to Allende, had complete control of the army, navy, air force, marines and police. The real tragedy was that Allende had refused to organise the working class into armed defence leagues so he had no army of his own. News of the military coup spread globally. 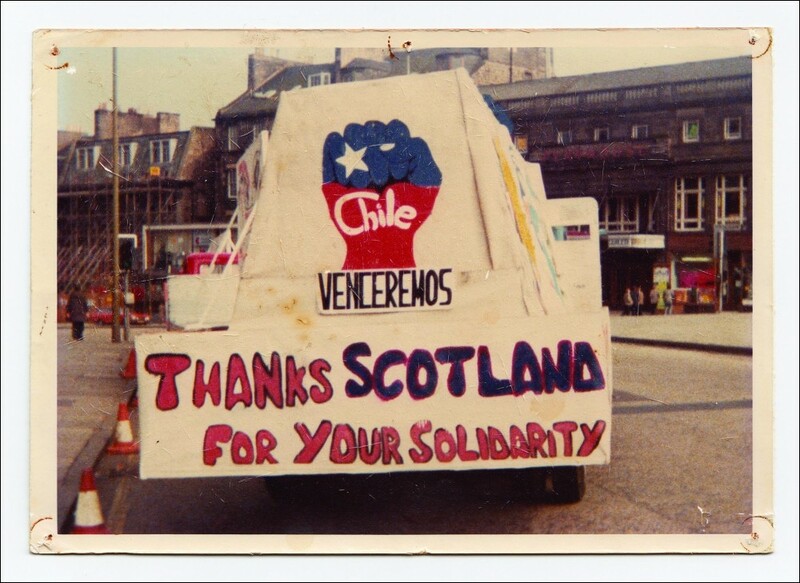 International solidarity began to grow, and so in Scotland's first 'new town', East Kilbride, a group of engineers were faced with the prospect of having to conduct maintenance on several aeroplane engines from the Chilean air force. Bob Fulton, a shop steward, knows what these engines had done and took the simple but heroic decision that they wouldn't be doing it again. He proposes a 'no work' on the engines, and his fellow workers immediately back him. The workers, some now in their 70s, now sit in a pub discussing with the director of the film how the events unfolded. The chat is a mixture of 'the craic,' pride and a clear sense of what solidarity is all about. They make clear they would do it again. As members of a strong union Bob Fulton, Stuart Barr, Robert Somerville and John Keenan have the power to stop the repair of the engines and, unbeknown to them, that small but significant decision has a direct impact in Chile - particularly for some of the prisoners held by the military dictatorship. The documentary successfully welds historic film reel and news reports, with the aid of some skilful animation. The film director introduces us to a leader of the Chilean Air Force who explains the difficulties pilots began to encounter as engines sat rusty and there was no way repairs would be done on the Rolls Royce engines. Interviews with survivors of torture, who have since grown old, provide a serious gravity to the film and it is their gratitude to the workers that makes you realise how much collective acts of solidarity can reverberate across the world. As a result of the decision to block repair on the engines they sit unrepaired in the yard of the Rolls Royce factory in East Kilbride - not for weeks, but years. In 1978, two or three of the engines are taken in the night. It transpires, and certainly it appears that they are traded for political prisoners, possibly by the then Labour government. One of the political prisoners is interviewed on film explaining that he was released from detention precisely because those engines were released in exchange. He is sure of it. He came to the UK, and advised Amnesty International. It grated on me that the 'worthy' operators in the 'human rights industry' never thought of telling the workers in East Kilbride. Nae Pasaran is a film grounded in working-class solidarity. The sincerity, modesty and humour of the workers who acted in solidarity with their brothers and sisters in Chile against the violent Pinochet military regime shine through. These workers, who placed their own jobs on the line, demonstrate the risks they were prepared to take in order to take on the powerful, and show the strength we can have when part of a union. 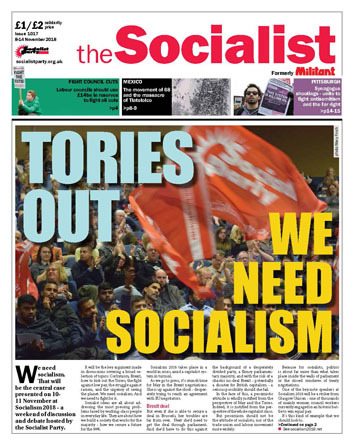 Nae Pasaran makes it clear international workers' solidarity is a powerful act, and an act that shakes the powerful.